XFAIR has a simple API for internet platforms to manage their members’ reputation metrics, and measure how every single member is contributing to the platform’s added value. Each platform has a different approach on reputation, our Network Value algorithms take this into account and let you specify what interactions to measure and how to value them. Measuring users contribution to the platform allows to incentivize them based on the added value they generate. This aligns interest of all stakeholders and boosts adoption: now everyone wants the platform to grow by acquiring and retaining users. The XFAIR algorithms measure actual actions and interactions. They are robust to resist manipulation even when parameters are transparently disclosed. Let your users reclaim their data by optionally storing data on the public blockchain. Each user can check their ratings and decide when to share, and with who. Concentrate on growing your platform and community. We handle the complete reputation management cycle, and provide you with the metrics and dashboards you need to improve your business and scale up. The algoritms driving XFAIR transform the platform community into a network of relations between stakeholders. Different types of interactions and behaviors serve as metrics to feed the calculation of the Network Value, representing a user’s individual contribution the the value added to the platform. What makes you a good citizen? The Hexalina Reputation Management service is part of a new thinking about the relationship between platforms and their users, replacing traditional models of platform monetization based on personal data gathering and ad revenue. 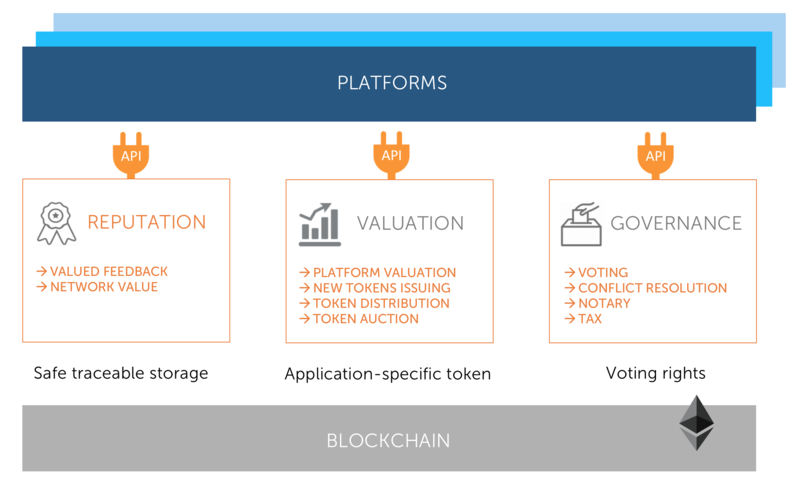 In this new approach, platforms are owned and operated by their communities, and interests of all stakeholders are aligned thanks to incentivization models redistributing added-value based on individual contribution. A platform needs to propose services that attract customers and allow to reach critical mass, where there are enough clients and contributors to ensure quality and a steady revenue flow. Starting this type of network effect requires considerable investments over a long time. This also often results in low diversity and “winner takes it all” situations, where there is only one platform for a specific service. With XFAIR, determining who contributes the most in a fair, robust and transparent way is easy. Compensating user contributions that increase the platform value aligns their interests: they all want a growing platform. This allows to shorten the time and reduce the spending required to achieve adoption, drives further user acquisition, and highly increases user retention. We propose this approach in either a centralized or decentralized way. For platforms preferring no storage of reputation data on the Hexalina servers, it can be stored on the Ethereum blockchain. In any cases, Hexalina never receives personal user data: only anonymous user identifiers are needed to calculate the network value of contributors.